The official logo of the 1916 centenary programme, marked by events all over the country, but particularly in Dublin, where the rising took place. A century makes all the difference: you can’t move in Ireland this year without being reminded that this is the centenary of the Easter Rising, which is now generally believed to have been the spark for Ireland’s eventual independence following a bloody war in 1921, followed by an even bloodier civil war immediately afterwards. On Easter Monday, 1916. Ireland was part of the British Empire, which was preoccupied by the ghastly horrors of the trenches in the Somme and beyond. Believing that “England’s difficulty is Ireland’s opportunity,” a small group of barely armed rebels marched into Dublin city centre and took over the national post office (the GPO). One of the most enduring descriptions of the insurgency is that the rebels didn’t have enough weapons, so many of them carried hurleys (ash sticks used in the Gaelic sport of hurling). Rebel leader Padraig Pearse surrendering to General Lowe in 1916, just days after the rising started. The disembodied feet on the bottom right belong to Elizabeth O’Farrell, who was edited out of the photo so a woman wouldn’t be seen to be involved. Unsurprisingly, pitting a few pieces of finely crafted wood against the might of the British Army didn’t work out too well. At the time, it wasn’t even particularly a victory in terms of support for the rebels’ cause. Many of Dublin’s people were struggling through dire poverty then, and there were more pressing problems than ideology. As the 1916 fighters were marched to the docks for deportation, the citizens of Dublin hurled abuse, and rocks, at the villains of the day who’d brought violence and destruction on their homes. My schoolteachers tried to impress upon us the glory of the doomed 1916 rising, but I’m sorry to say that as an adult, I’m finding it hard to get into the spirit of things. To give credit where it’s due, centenary events so far have been balanced and respectful. But it would be nice if we could, for once, celebrate a time when humans were not blowing each other to bits. When it comes to Irish culture, history and identity 1916 is, after all, just one piece of the mosaic. 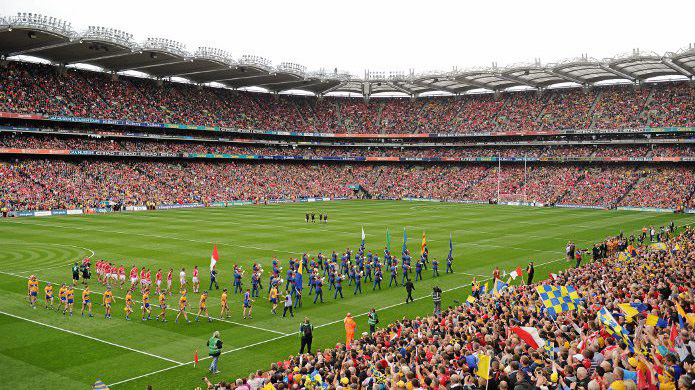 Be anywhere in the country on the third Sunday in September, when the whole country is gripped by All-Ireland fever, and you’ll understand that the GAA is about so much more than sport. The Gaelic Athletic Association, was founded in the 1800’s to save traditional Irish sports such as Gaelic football, hurling and netball, which had been at risk of dying out. There was a feeling that the dominance of “imported sports” was destroying Irish morale, and the most common sports of the time were socially exclusive to the point most Irish people could never play. There was trouble in the early years: while some founders wanted to stay clear of politics, certain Fenian groups saw the GAA was an ideal way to get their revolutionaries fighting fit. 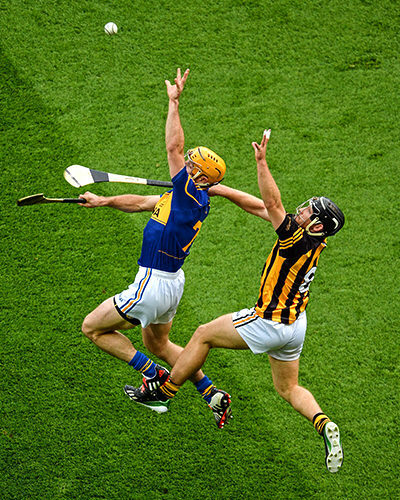 Today, “The GAA” is generally taken in daily parlance to refer to the national obsession that is Gaelic football. As well as getting passions up, GAA is the fabric that holds people together, especially in rural areas, and is fundamental to the Irish sense of identity. Croke Park is the national headquarters of the GAA and it is here that the All-Ireland Gaelic football and hurling finals are fought every autumn. Now home to the GAA Museum as well as conference facilities, I doubt there is a more authentic cultural experience of Ireland than to attend a match here. 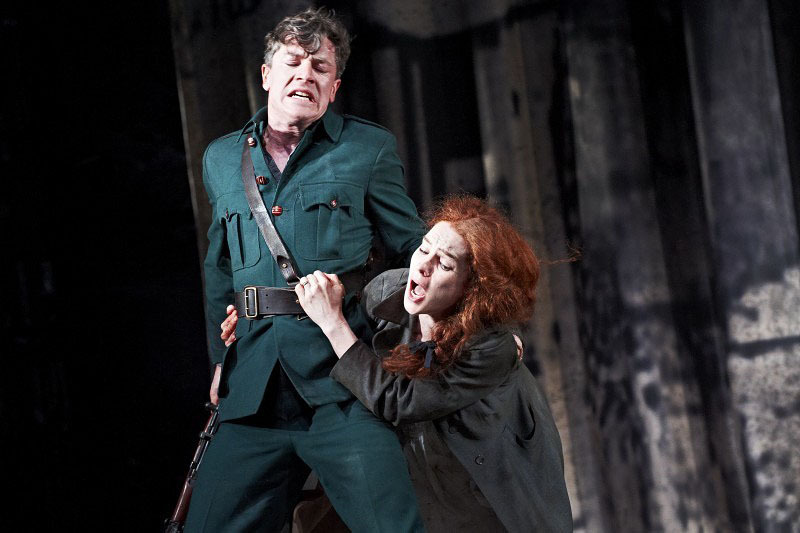 Scene from Sean O’Casey’s powerful classic “The Plough and the Stars” at The Abbey Theatre in 2012. The Plough and The Stars is set during the upheaval of the 1916 rising. The reinvigorated interest in Ireland’s Gaelic heritage both provided the spark to “The Irish Literary Revival” and was in turn, fuelled by it. The theme of looking to Irish folklore and heritage, rather than overseas, for inspiration, was fundamental to this explosion of Irish literary talent which took place in the late nineteenth and early twentieth centuries. The Abbey Theatre, founded in 1904 with a manifesto to stage performances of Irish plays by Irish authors became so important that in 1925 the government of the newly established Irish Free State made it the first state-funded theatre in the English speaking world. Since the 1900’s The Abbey has been a platform for new talent and old classics, not without controversy. At a premiere of The Plough and the Stars, the audience were so enraged when nationalist fighters brought a tricolour into a pub – as if the worst atrocity in a war is a perceived disrespect to a flag – that riots broke out in the stalls. The #wakingthefeminists movement, which garnered worldwide media attention last year, was a response to the national theatre excluding any women from their ‘1916: Waking the Nation’ commissions. With the exception of a few tiny pockets, predominantly in the west of Ireland (Gaeltachts), few people use the Irish language in their everyday lives. Like most people of my generation, the last time I engaged with the language was my last day of school. While arguments put forward by Irish language enthusiasts (Gaeilgeoirs) that “Tír gan teanga, tír gang anam” (Land without a language, land without soul) are countered by people who feel the language is outdated and irrelevant, the fact that this debate is happening is a victory for the Gaelic League. Had it not successfully campaigned for the National University of Ireland (the umbrella over most Irish universities) to have Irish as a compulsory entrance subject from 1908, it is likely that the language would have become extinct. Although it intended to remain apolitical, this proved impossible in the tense times at the turn of the last century; most of the signatories of the 1916 Proclamation of The Irish Republic were members. It’s fair to say that the Irish language is a niche interest in modern day Ireland, but most Irish people are quietly proud to have our own unique language, which is particularly intertwined with modern day Irish arts and traditional songs and music. The Gaelic League is still thriving, now using its Gaelic name, Conrad Na Gaelige. 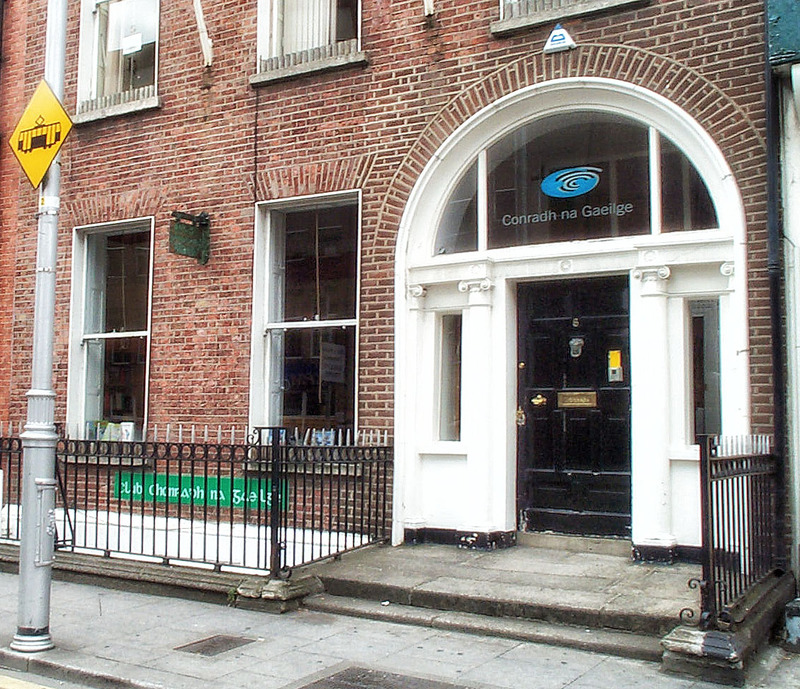 Their headquarters, in the unlikely location of Dublin’s nightclub strip, Harcourt Street, has a bookshop, an Irish language pub, and runs classes. Clasac, just north of the city, is a centre for Irish language, music, and dance, and run ‘slow sessions’ once a week where beginners can practice jigs and reels at a relaxed pace before building up to full speed. The Catholic Church in Ireland has a lot to answer for, and although its power is dwindling, there can be no denying that this religion was fundamental to the formation of the Irish state. 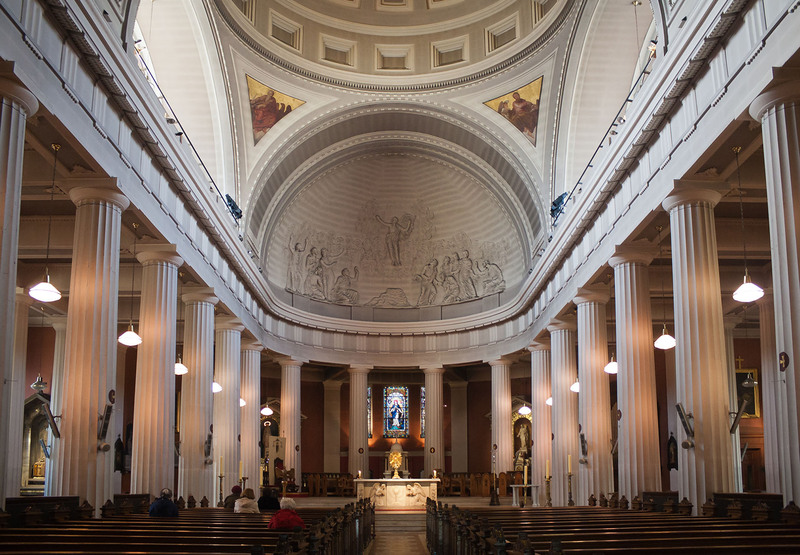 Ironically such a powerful entity, Catholicism does not have an official cathedral in the Irish capital. A thirteenth century pope designated Christchurch as Dublin’s official cathedral, and no Catholic is arguing with that, even though Christchurch has belonged to someone else for half a millennium. Ireland was part of the British Empire when Henry VIII decided to break from Catholicism over their tiresome one wife rule, and Irish bishops – and their property – followed him, converting to the Anglican religion. A city can’t have more than two cathedrals, so, with Christchurch still officially a Catholic cathedral ‘cos the pope still says so, but not really a Catholic cathedral because someone else has five hundred years’ squatting rights, the main Catholic Church is St Mary’s Pro-cathedral, or acting cathedral. Architecturally impressive, the cathedral is home to the Palestrina Children’s Choir, which has garnered worldwide acclaim, even performing in Carnegie Hall. The events of 1916 were amongst the most defining in Irish history. 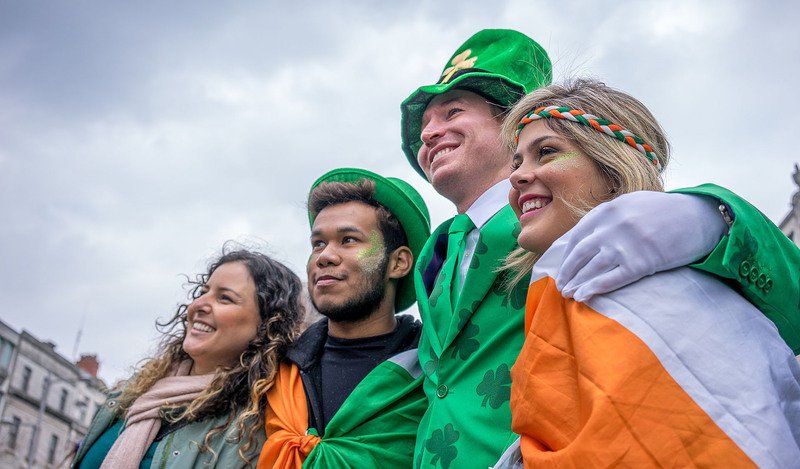 Visitors to Dublin this year have plenty of opportunities to take advantages of a plethora of cultural events commemorating the Easter Rising. But to get a true sense of Irish culture and identity, and a much more memorable trip, scratch deeper, and explore beyond the obvious. Croke Park: Dublin 3. +353 (0)1 8192300. http://www.crokepark.ie for public transport directions (national and Dublin buses and trams will all take you within fifteen minutes walk) and fixtures. GAA museum open 9.30 – 17.00 Mon – Sat Jan-May and Sept-Dec, 09.30 – 18.00 for the summer months. 10.30 – 17.00 Sundays. 1916 tours from the roof operate at 12.30 Saturdays and Sundays; online booking recommended.